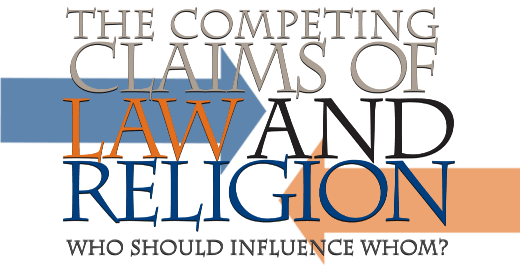 The Herbert and Elinor Nootbaar Institute on Law, Religion and Ethics is hosting a conference entitled, “The Competing Claims of Law and Religion: Who Should Influence Whom?” this weekend at Pepperdine School of Law. The Conference begins today and continue through Saturday. On Friday, Marc DeGirolami will be presenting a talk entitled, “The Method of Tragedy and History Applied.” On Saturday, Mark Movsesian will be presenting his talk, “Crosses and Culture: Public Religious Symbols in the U.S. and Europe.” Both Marc and Mark will be liveblogging from the conference throughout the weekend.